Everyone loves movies, and this is a great era for movie aficionados. From Netflix to Hulu to legally watching movies for free online 7 Legal Ways To Watch Movies Online For Free 7 Legal Ways To Watch Movies Online For Free With the advent of the Internet, media delivery has become so easy and so convenient for us. It started with music but quickly moved to include TV shows and feature-length films, and in the wake... Read More , you always have something to watch. 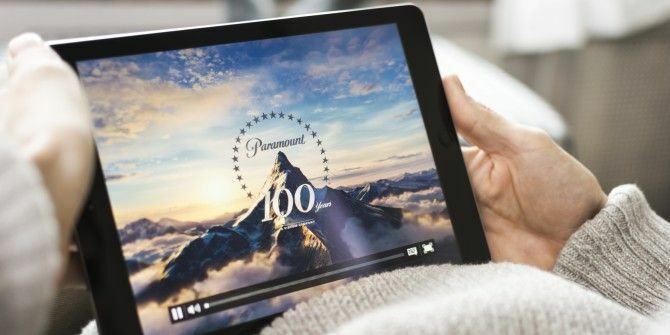 If you’re a movie lover on a budget and don’t mind watching some lesser-known films, you’ll be happy to learn that Paramount Pictures has released over 100 free movies on its new Paramount Pictures YouTube channel. The channel is verified, so it’s definitely legitimate. Unfortunately, these films are only available in the US, so if you’re outside the States you’ll need to work around region blocks 2 Effective Ways to Access Region-Blocked Videos Without a VPN 2 Effective Ways to Access Region-Blocked Videos Without a VPN Internet users outside of the United States are blocked from accessing the wealth of streaming video and music content available to Americans. Even Americans are deprived of international services like BBC iPlayer. Faced with this,... Read More . You won’t find big hits like Titanic, Iron Man, or Forrest Gump in this list, but you’ll be able to select a film easily due to the genre playlists. Whether you want to discover a new Drama, Western, Comedy, or Thriller, you’ll have choices. This is a perfect chance to try something new; maybe you’ll find a new favorite movie! If you’re hesitant, look for some familiar faces – Jack Nicholson, Mel Gibson, and Gene Wilder, for example – among the movie’s actors to use as a start for finding a flick. If you’re looking for more movies to watch, check out our list of the best geek movies 42 of the Best Geek Movies of All Time: How Many Have You Seen? 42 of the Best Geek Movies of All Time: How Many Have You Seen? Geeks are people too. I am one, you're probably one, and we're a growing army that can no longer be ignored. Not even by Hollywood. Geek movies FTW! Read More . What movies will you watch from this list? Do you have any underrated favorites you’re happy to see here? Let us know what you’re watching below! I've already watched like 5 of these movies. Good stuff! Here's their entire list (as of right now, 6:13 AM on Sunday Dec 06, 2015 EST). There are duplicates, as some are considered more than one "genre" (I hate that term). Thanks so much for typing all these out! I appreciate it. When I try to click on 'play' for the 2 videos embedded in this article, I get "This video is not available.". If I view the playlists, I see playlists created a few days ago, If I click on one of those playlists, all I get is 'This video is not available.". n/m, just noticed that it said they were only available in the US... And the movie studios wonder why Australia is generally at the very top of the list when it comes to movie piracy, they will never learn! I'm sorry these aren't available for you! Can you use a VPN or other solution to get around them?